Affiliated to Institute of Aikido New Zealand. I started training in the martial arts in 1979 with Chidokan Karate and this is where I first heard about Aikido. 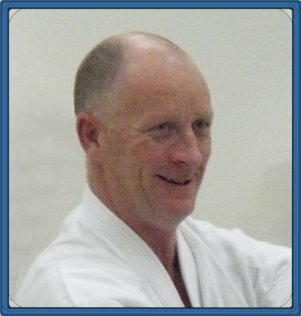 Some classes would be dedicated to 'self defence' and we would learn different locks and throws, which we were told were Aikido techniques.I decided to find out more about this 'mysterious' art, and here I am 45 years down the track still learning. In 1982 I started Aikido with the late sensei Ron Russell and was graded by him to Shodan in 1987, Nidan in 1988, and Sandan 1993. Sensei Haydn Foster, Sensei Russell's teacher in England, graded me to Yondan in 2001 and Godan in 2006. Following the death of Mr Foster in 2011, and having no teacher to look to, I applied to the AMAHOF Sokeship Council for a grading in 2016 which I passed in August of that year. I have been head of the Kyu Shin Do style of Aikido in New Zealand since 1994. My approach to teaching is to apply the principles of Aikido. I aim for a safe non threatening environment that is conducive to learning and allows people to develop their own way. One of my favourite quotes from the founder of Aikido is 'It (Aikido) is not for correcting others; it is for correcting your own mind.'. I try to live by this precept and it is reflected in my style of teaching. 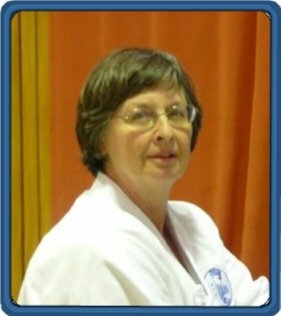 Gail practised Karate from 1979 until the end of 1988 and reached the rank of 2nd Dan. In early 1988 she began to practice Aikido as well and by the end of that year committed fully to Aikido. The late Ron Russell, her first teacher, who loved Aikido above everything and was a skilled and dedicated teacher. The late Mr. H. Foster of the Institute of Aikido, (UK), Ron's teacher and mentor who generously shared his vast reservoir of knowledge accumulated over 50 years in Aikido. 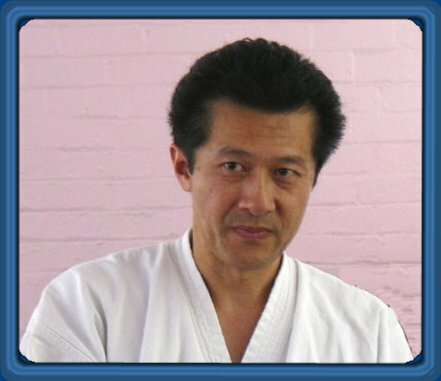 Richard Moon, who taught that Aikido is so much more than technique and that it is OK to make mistakes. Her husband Ray who is committed to sharing aikido with all who want to learn. Gail's ideas in presenting an Aikido class are first that it should be safe and fun for everyone involved. Her quest in teaching, learning and day to day life is to find better ways of smoothing the paths of human interaction. 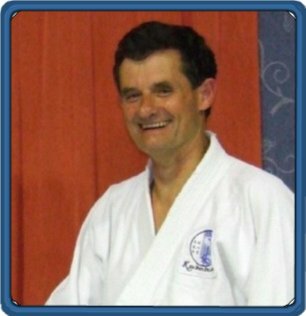 Colin had an extended break from training when his children were young but returned to join Kyu shin Do North Shore in 1993. In the forms which are the foundation of our style Colin is regarded by his peers as the greatest reflection of our origional teacher, Ron russell. In his teaching he aims for clear and accurate demonstration of our basic techniques. He initially assisted with children's classes. Gavin ran a dojo in Silverdale for 2 years but after losing the preferred training night it was decided to close this dojo at the end of 2018. Gavin has a wide experience coaching other sports such as water sking and snow sking. He has shown a great willingness to contribute his time and knowledge to any stuident who wants to learn. Gavin teaches the Saturday morning class and weapons classes every second Friday. Shivani Bhatt : 1st Dan. Shivani started training with Kyu Shin Do Aikido in 2014, initially in the childrens class but she quickly progressed to adult level training. Shivani assisted with the teaching in the childrens classes in 2016 and took over teaching the youngest children (5 -7 years) at the beginning of 2018. She has demonstrated considerable talent for working with this group of children and they have made excellent progress under her tuition. Shivani is one of our youth leaders and in 2016 she received a Youth Recognition Award from the Institute of Aikido New Zealand in recognition of her contribution to the clubs she trains with. In 2019 Shivani will expand her teaching experience to include sharing the instruction of the older children and Junior Kyu Grades.